Fans of P-Square might just get that expected reunion, as Peter and Paul Okoye turned 39, their wives reminded them why they need to squash their feud. 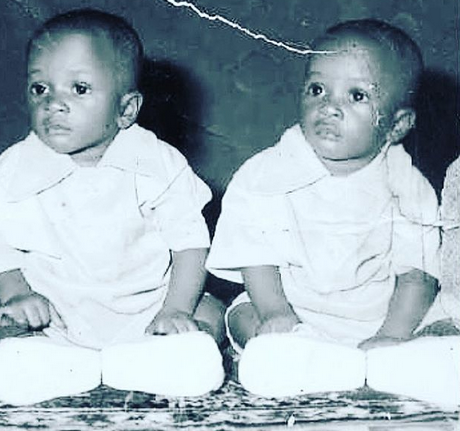 Peter and Paul Okoye are celebrating their 39th birthday today, November 18, 2018. In celebration of the joyous occasion, Peter's wife, Lola Omotayo-Okoye, Paul’s Wife, Anita Okoye and their senior brother, Jude Okoye took to their Instagram pages to celebrate them. In each of their posts, apart from praying for them, they also wished that the brothers would end their feud and raise P-Square from the dead. So it seems that there might still be hope for a P-Square reunion. "Peter and Paul dem be one no be two. Happy Birthday guys! I am lost for words when it comes to your matter. I pray the Almighty God continues to guide and protect you. I pray that our father in heaven speaks to you individually and softens your hearts. I celebrate you today. I love you too. You are both legends. You are blessed. Your children adore you. ''We all adore you. God bless you today and every day. Peter and Paul dem be one no be two. Happy Birthday! @peterpsquare @rudeboypsquare"
While Anita reminded them of how much they were loved. Jude Okoye wished them more life on their birthday. These are positive signs that maybe in the near future a reconciliation would be possible, or not? "Enjoyed this article? Please share"